Last year more than fourty restaurants around Krk Island were participating in Fig Days event. This year restaurant guests will have the opportunity to try fig grapa, fig liquoir and various meals based on fresh and dried figs. Fresh figs are rarity in shops and supermarkets because ripe figs damage quite easily and do not transport well. 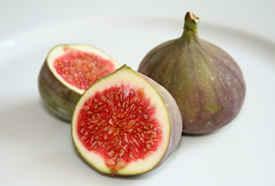 Further, the shelf life of the freshly picked up fig is very short, only a day or two. Unlike other fruits, figs cannot be picked up unripe as they do not ripen afterwards. Hence the best fresh figs are found in Mediterranean countries like Croatia, and only if you find yourself there during the fig season. Island of Krk is one of places where figs are grown and lucky visitors to the island will have the opportunity to taste plenty of fresh figs as well as various meals based on dried figs. So why not visit and try how figs should REALLY taste when fresh?